Q. Which is better the 2019 Dominar or the MT-15. I would use the bike every day for 5 km also I am a fat person so which would be more suitable and comfortable for me? Q. I own CBR 250R ABS and I want to add Dominar to my stable. My question is it refined as CBR and how different the performance is from CBR 250? Q. What is the service cost for 2019 Dominar? Q. Which bike gives better performance and top speed Dominor 2019 or Duke 390? Both bikes are good in performance and top speed. Diff. Only Dominar 2019 is heavy weight bike..
Q. Which is best Dominar UG or Himalayan Sleet or ABS in terms of pillion comfort, reliability, seating posture, brakes, mileage? Q. I am using Pulsar 220F and have an idea to buy Dominor 400 suggest me some more bikes. Q. I am looking for a bike around the 2lakh. I currently have a RE Classic 350 (2013). Previously owned a Karizma and a CBZ. Should I consider the new Dominar? How does it compare, quality-wise, with the Honda CBZ. I am sceptical about the quality deterioration of Bajaj in the long run. Q. Is the pillion seat comfortable? Can you please give your suggestions? I thought of planning for Dominar 400. Only the thing is pillion seat where I got stuck. Q. Whats is the difference between Normal Dominar and Dominar 400 UG? Q. What is the price of Bajaj 2019 Dominar 400? Q. What is the mileage of Bajaj 2019 Dominar 400? Q. What are the specs and features of Bajaj 2019 Dominar 400? Q. What are the top competitors of Bajaj 2019 Dominar 400? Q. What are the top variants of Bajaj 2019 Dominar 400? Q. What is the EMI of Bajaj 2019 Dominar 400? 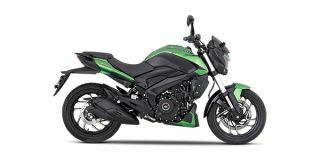 Confused about Bajaj 2019 Dominar 400?